This contest was held for school children grades Kindergarten - Grade 6. We had loads of entries, over 300 from all over the Tucson area. The poems were really great! 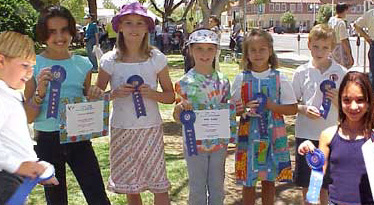 The first place winners came to Armory Park on Earth Day 2002 to read their winning poems at the awards ceremony.